Brock Lesnar's reign has got stale over the past two years. We are less than 3 weeks away from WrestleMania 35. Brock Lesnar is all set to defend his Universal Championship against the 2019 Royal Rumble winner, Seth Rollins. Although the match is not expected to close the show, it is being promoted as one of the main-events. Many people believe that this will finally be the end of the Beast's reign of terror. Brock Lesnar has been the Universal Champion for nearly 21 out of the last 24 months. 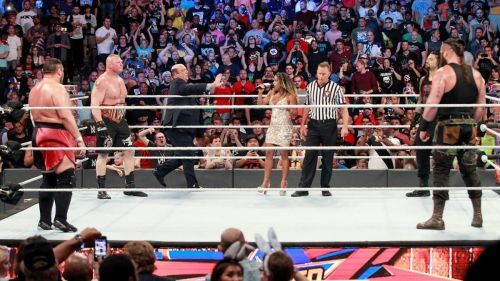 The WWE Universe has grown tired of the repeated story-lines involving Lesnar and how all of his feuds need to be carried mostly by his opponents. If Seth Rollins ends up dethroning the Beast to win the Universal Championship, it will open the door to a lot of interesting scenarios. We can see the Architect defend the strap against the likes of Drew McIntyre, Finn Balor, and even his Shield-brother, Roman Reigns. However, what if the Beast still has something left to offer and isn't ready to lose yet? Yes, you read that right. Although Brock Lesnar's two reigns have been booked terribly for the most part, the Beast still has a purpose to fulfill as the flagship show's top Champion. Letting Lesnar remain the Champion post-WrestleMania can help in restoring the Championship's prestige. No offense to Seth Rollins, he is a terrific athlete. However, having Seth Rollins as the Universal Champion will most definitely make the title look like an upgrade of the Intercontinental Championship, with the regular defenses and over-exposure. 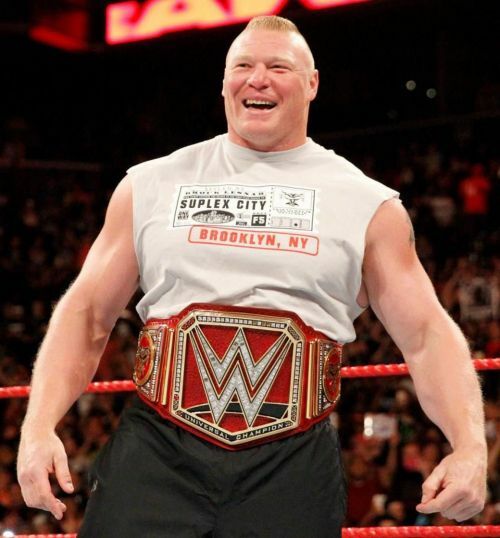 Almost all of Raw's top Superstars have unsuccessfully challenged Brock Lesnar for his Championship. Moreover, Lesnar is rumored to make his UFC return this year so if he represents WWE as their Champion, it will surely benefit both businesses. In addition to that, overexposure these days has led to WWE Universe lose interest in many of their once-favorite Superstars. If booked right, Lesnar can once again reclaim his status as the Special Attraction fans longed to see, until 2016. All WWE has to do is effectively fill in the gaps between Lesnar's appearances with consistent story-telling. Thus, I believe that the Beast Incarnate surely deserves a few more months with the Universal Title. It will not sit well with the fans who wish to see a fighting Champion on a weekly basis. However, this approach has the potential to make the title seem like something unachievable, which can, in turn, boost its demand among the Superstars. WrestleMania 35: What if Brock Lesnar retains the Universal Championship?